Work to Weekend® Original Khaki is rated 4.4 out of 5 by 32. Rated 5 out of 5 by Jackj from Work to weekend expandable waistband slacks I purchased four pairs of these slacks (various colors) and, as usual, they are the greatest! I will buy more of same in the future. Rated 5 out of 5 by Doc19 from THESE WORK TO WEEKEND ARE THE MOST COMFORTABLE. I BOUGHT THEM THINKING ABOUT THE BARGAIN I JUST RECEIVED BUT THEY ARE WORTH THREE TIMES WHAT THE SALE PRICE WAS. Rated 5 out of 5 by Pork Chop from The Best of the Best!!! I purchased two pair of the work to weekend Khaki trousers 2 weeks ago and they arrived as usual on time as promised. I buy nothing but Hagger pants because they are the only clothing accompany I have found that carries my size 42x 29. All others in that waist size have inseams of 30 inches or more. Also the expandable waist band is the best thing since sliced bread. I also love their stretch demon Jeans with the permanent crease. I am still waiting for them to restock the colored jeans in my size as I will purchase at least 4 more pair. 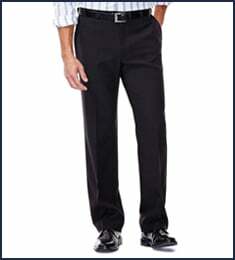 You can not tell that the colored jeans are really jeans as they pass for dress pants. 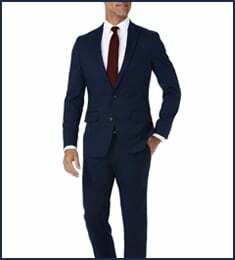 Rated 5 out of 5 by Pork Chop from Solution to the busy Bussiness Man’s Schedule I purchase noting but Hagger Pants both for bussiness, social and “Kicking Back” The Hagger Brand is the only brand that I have found that I didn’t have to pay to get them altered to fit. 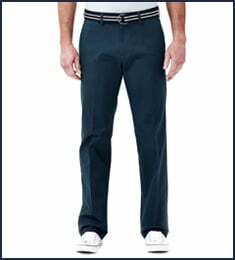 Hagger is the only Company that carries my perfect size pants I am a 42x29 size. I have never found another brand that carries that combination All 42. Waist from others is all rats 30 inches or longer. Also the expandable waist takes care of the constant change Inman waist size after a few days of lunch and dinner engagements where I tend at times to over indulge. I also love their denim stretch jeans. Both the casuals and jeans have the Hagger permetment crease , so it always look like you just put them on, even after a long day at the office and in a rush to not be late for a Dinner engagement. The colored denim stretch jeans are often mistaken for dress pants. It is really amazing. I have been trying to find the colored jeans lately but not ever the customer service people could find what I wanted in color and size. I hope they will be available soon. Rated 5 out of 5 by ADawg from Best value and comfort! These pants are the best value for a business casual paints. They are comfortable. Haggar makes their pants in just about any size. Machine washable and yes they are machine washable! The pleats and hems stay in form after years of washing without having to iron them! I have become more than satisfied over the years with Haggers quality and durability to the point where I am now a loyal customer. I will only buy Hagger pants! In the Hagger line of pants I have found a consistency and durability! In today's world it is hard to find the quality, consistency, and value that Haggars pants represent! Rated 5 out of 5 by MarkR from Love these! 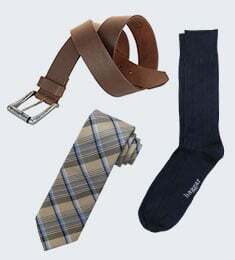 These are able to be dressed up or down as the need may be and are very comfortable. The weight is not too heavy or too light. These are among my husbands favorites to wear! Rated 5 out of 5 by snow goose from work to weekend khaki My husband loves these pants with the long rise as the old style pants always had. Rated 4 out of 5 by d2door from Good but snug in hip and thigh I wear a 44 x 32, so I am on the high end of regular sizes and the low end of Big & Tall. I ordered both the Big and Tall Work to Weekend Khaki and the Work to Weekend Original Khaki. The Big & Tall Work to Weekend are hands down the more comfortable of the two and better fit. The waste size of the Original is fine, but for me they are snug in the hips and legs. That being said, I still wear them although I prefer the big & tall fit.